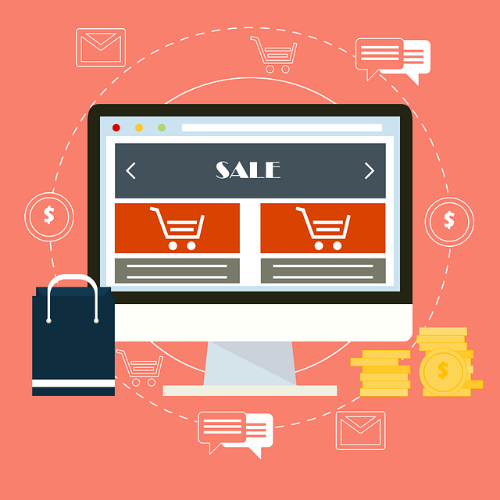 As a business owner, it can be hard to fully devote yourself to eCommerce platforms. If everything was fair, good products and customer service should get your company all the sales it needs. Unfortunately, the digital marketing landscape has shifted things dramatically. Developing a smart, clean and user-friendly eCommerce website will go a long way in improving your online sales. From easy site navigation to a simple payment gateway, eCommerce growth is achievable for any size business. Make it easy for your consumer to talk to you. Anytime. Shoppers are using their cell phones more than ever. Make sure you have a great mobile app or an incredibly user-friendly, responsive website. Try before you buy! Augmented reality is so accessible that every brand should be exploring it, including you. If you’re not using video for social media, website visual impact and “explainers” for B2C and B2B, you’ve been missing out. Both accessibility devices and voice assistants rely on being able to easily crawl the titles, descriptions and image tags on your site. Probably the biggest trend, and not just for social justice “warriors.” Brands are rewarded when they give to their communities, so it’s just good business. Throughout 2018, there were several Detroit companies that invested resources in eCommerce marketing. The future of eCommerce will always be evolving, but these 10 Detroit businesses are setting the trends for 2019. Perhaps one of the best eCommerce success stories, Domino’s has become an eCommerce powerhouse over the last five years. In 2008, Domino’s was struggling like many other American businesses. With a stock price around $3.00, the company needed to rebrand itself. The solution? Become an eCommerce company that happens to sell pizza. With a full commitment to the digital world, Domino’s was able to connect with its customers and relentlessly gather information. The result? Domino’s stock now sits at over $275. Customers can order pizza from Domino’s on the Domino’s app, Amazon Echo, Google Home, Ford Sync, Apple TV, Samsung Smart TVs and online social media platforms. The social media teams at Domino’s also do a fantastic job monitoring their feeds and responding to criticism as quickly as possible. Domino’s was patient with their strategy and made sure that a strong foundation was laid. Now, the company says it is going to devote resources to conversational commerce. Named the best chocolate shop in Michigan by “The Daily Meal”, Bon Bon Bon has created a website and online presence that leaves consumers drooling for an order. With a sleek website design, a ton ton ton of pictures, and a unique product, Bon Bon Bon is a perfect example of how to implement eCommerce for small business. Based out of Hamtramck, the personality of the company comes off easily when you are on the site’s homepage. Bon Bon Bon also utilizes Facebook and Instagram very well, posting pictures and content on a regular basis while engaging with their audience. Debunking the granular model for coffee businesses, New Order has developed a brand and online presence that is unique to its customers. While many roasting companies use gritty and brown tones in the eCommerce marketing, New Order’s website uses bright blue and light colors that set itself apart. With easy navigation and a detailed online store, New Order makes it easy for potential customers to reach their checkout. They offer free shipping for orders over $25, which is a proven way to convert more sales. The company uses its attractive product to engage with their social media community. Its Instagram and Facebook pages are filled with quality content that links back to the website. What list of Detroit brands would be complete without mentioning Shinola? It’s so memorable that Peter Farrelly felt he had to tell the world how they were “saving” Detroit (also up for debate is whether or not he’s stepped foot in Detroit to see all of the other amazing Detroit businesses, but we digress). As a premier Detroit watch brand, Shinola has used its stature in the industry to develop a successful eCommerce marketing strategy. From the moment you enter the website, it is clear you are shopping for high-end watches. The website has also done a good job showcasing the company’s lesser known products such as their leather products, Bluetooth speakers and bicycles. With the website powered by the eCommerce platform Magento, Shinola has made a huge push towards mobile sales. Shinola was at the forefront of digital marketing in Detroit. With the help of Magento, they were able to create a mobile site that mirrored an app. Moreover, the Detroit-based company has put an emphasis on creating a global eCommerce brand. A recently formed company based out of Ferndale, Detroit Grooming Co. faced a shutdown in 2014. With help from new investors and a commitment to eCommerce, it is now a nationally recognized brand. With a keen website layout, easy checkout and attractive product pages, Detroit Grooming Co. has created a very friendly user experience. The beard care business has also been capitalized on the Facebook landscape. With a “Shop” tab on their homepage, customers can browse an up-to-date catalog that features prices, pictures and checkout link that directs back to the company site. Partnered with Shopify and ReCharge for their Detroit web design services, Detroit Grooming Co. is taking full advantage of the beautiful beard trend. Founded in 2013 just like Detroit Grooming Co., Tait Design is an independent product design studio. As a company that has steadily built its product line, the website makes it extremely easy for users to navigate between their clocks, toys and calendars. Makers of beautiful, Detroit hand-crafted products, Tait takes full advantage of Facebook, Pinterest and Instagram. With a simple checkout and free shipping over $50, they are not missing out on any eCommerce sales. Better Made ran into an issue over the last few years. Michiganders love their chips and those who moved out of state still wanted access to some of their favorite snacks. The historic Michigan brand partnered with a website design and IT company called Fuse and brought their efficient online store to loyal customers. Active on all their social media platforms and always touting their Michigan heritage, Better Made has continued to thrive and grow when the odds may have been against them. Founded in a Detroit apartment by two brothers, Banza makes pasta using chickpeas. The healthy, gluten-free alternative quickly struck a chord with foodies around the country. You can now find Banza in most grocery stores and many online platforms. Banza’s website is very easy to navigate with all of their pastas clearly identified, detailed and priced. What really sets Banza’s eCommerce efforts apart are their 30 second recipe videos they post on social media. Their Facebook recipe videos consistently reach 250,000 views and their Instagram pictures of meals rack up thousands of likes. Veronika Scott founded the Empowerment Plan in 2012. The non-profit designed a water-resistant coat for the homeless community that easily transforms into a sleeping bag. Not only do they donate these coats to the homeless population, they also employ people from local shelters. After finding some success and notoriety, Scott realized that there was a bigger market for these coats. Debuted in 2017, Maxwell Detroit is the retail clothing line for Empowerment Plan. It has become one of the more well-known Detroit clothing brands, and mostly due to their social commerce. Maxwell’s website and social media sparse no words by letting consumers know exactly why the company was founded. They share their story clearly, artistically and with heart. Their three coat styles are outlined perfectly with accompanying photos and videos to show all the features and great options. A handmade shoe and leather company that focuses on hiring veterans and Detroiters, Pingree touts its Detroit heritage from the second you enter their site. The site is powered by the electronic commerce company Shopify which is an ideal eCommerce platform for small businesses. Pingree’s mission, morals and products are all easily identified from the homepage. The checkout is simple, shipping is free and the social media accounts are active and engaging. Their products are only available in seven retail locations as of now, so their commitment to eCommerce sales is apparent and strong. There’s so much amazing small- to medium-size business growth in Detroit, as well as the huge household brands, and it’s impossible to name everyone. With the developments in Detroit starting to draw more startups and tech companies, there are plenty of businesses vying to dominate Detroit eCommerce. We chose these companies because of their range in industry, size, strategy and goals. Leave a comment below with your company’s eCommerce success story, or tell us why you’re going to shop a specific brand in 2019!